Lees meer in mijn blog over de Microsoft Surface RT 64Gb met type cover. This entry was posted in Surface on April 2, 2013 by Kamm_and_Re. Microsoft Windows Intune beheren vanaf een Microsoft Surface RT is nu niet mogelijk! This entry was posted in Surface, Windows Intune and tagged intune, Microsoft, Windows on February 21, 2013 by Kamm_and_Re. 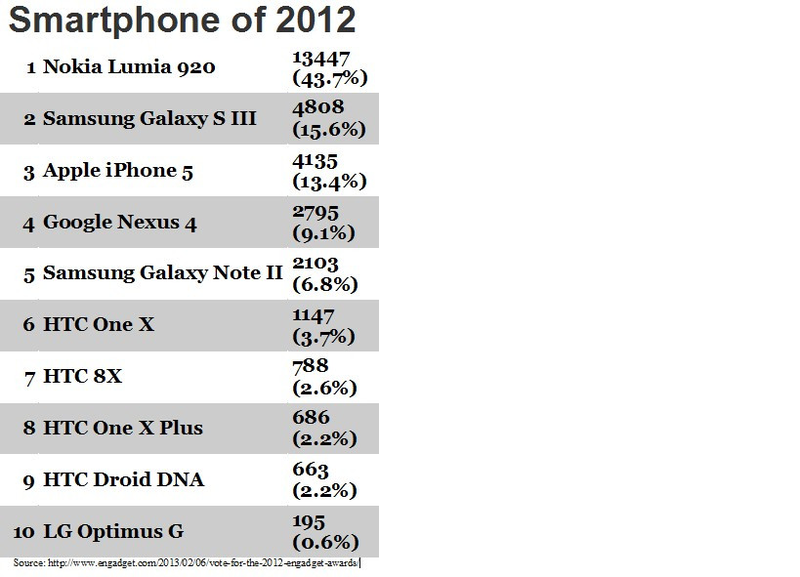 Nokia Lumia 920 en Microsoft Surface winnen de engadget smartphone en tablet van het jaar. This entry was posted in Surface, Windows Phone and tagged Nokia, phone, surface, Windows on February 20, 2013 by Kamm_and_Re.